Specifically selected to open and activate the 1st - root chakra, the aroma and power of this oil blend will help you ground and center and reconnect with your authentic self. 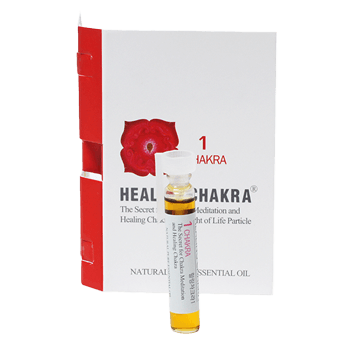 Use this oil when you need passion, courage, strength, resolve and magnanimity. Balances issues regarding success, patience and the need for security. *Symptoms of an Imbalanced 1st Chakra: Lack of courage, financial instability, selfishness, anxiety and fear.